Pathfinder sister company SCH, which sources a significant amount of its personnel from Pathfinder, has expanded its cruise ship business in Southampton for 2017 by securing the stevedoring and other ship support services for calls by Silversea Cruises. The addition of the ultra luxury Silversea ships to SCH’s portfolio means the port services company will handle some 100 cruise ship calls in Southampton during this year. Silversea Cruises will make 11 calls in Southampton during 2017, offering cruises round Britain and to Northern and Western Europe on its small, exclusive vessels Silver Whisper, Silver Explorer, Silver Muse and Silver Wind. The 40,700 tonnes Silver Muse, with accommodation for just under 600 guests, will make her debut in Southampton after being built in Italy. She is due to enter service in the Spring and will make her maiden Southampton calls in September. 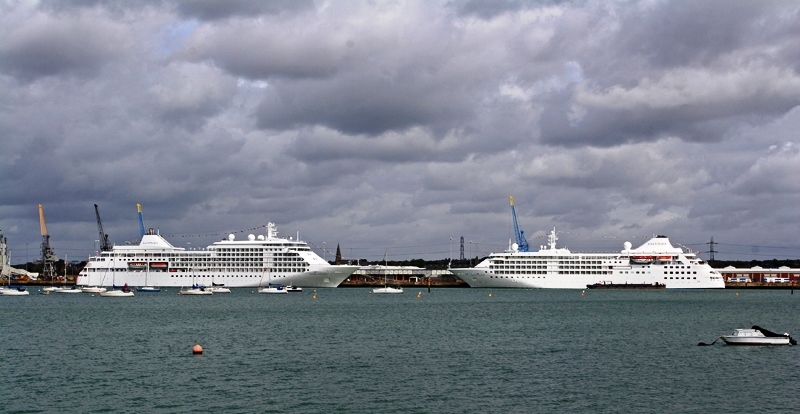 SCH will provide baggage, storing and mooring services during the ships’ visits to Southampton. SCH’s other major cruise customers in Southampton are Royal Caribbean International, Celebrity Cruises, Saga Cruises and Azamara Cruises. The company also provides cruise services at various other ports throughout the UK.